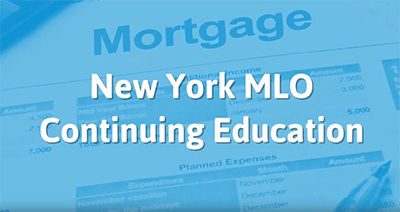 This updated, 4 hour continuing education course is for licensed Mortgage Loan Originators in New York. It satisfies the state-specific requirements in an easy-to-understand and informative way, so it?s the perfect choice for finishing off your continuing education. In the 1 hour elective portion, we?ll discuss Home Equity Lines of Credit, and in the next 3 hours of content directly following the elective, we?ll dive into the Secure and Fair Enforcement for Mortgage Licensing Act of 2008 (SAFE), the licensing requirements and prohibitions for the New York MLO, and finish the course with an in-depth look at surety bonds and cases of fraud. 02. What are HELOCs and Who are They For? Mary Tillery, loan originator and Sales Manager at Guild Mortgage, in Grants Pass Oregon, has been actively involved in home lending since 1986. She has originated everything from first time homebuyers, to complex construction financing and reverse mortgages, besides all forms of more traditional lending. Mary combines her depth of knowledge with a sincere desire to know, love and serve her clients. She has been teaching home buying classes for 20+ years and loves to share her knowledge with not just her clients, but with people in the industry who are interested in growing.